Forgot to Save for Christmas? Don't Do These 3 Things to Pay for It! Christmas is almost here. Yes, already. It’s really too late to save for Christmas this year, but that doesn’t mean you can’t save for Christmas next year. You can already start making a plan for how you’ll afford Christmas next year. That way you can start saving as soon as you are done paying for this year’s holiday. The reason this works is because Christmas is not a surprise. It comes around every year like clock work. It’s always on December 25th. There’s no getting around that. Sure, you can try to make Christmas as cheap as possible. But you’ll more than likely have to spend some money if you plan to celebrate the holiday. This time of year I always get a little mad pissed off when I hear about the irresponsibility of some people. There’s only a few weeks left and they haven’t saved for Christmas. There’s still a little time to earn some extra money. Or you could sacrifice something to help save for Christmas, like taking some time off from eating out. 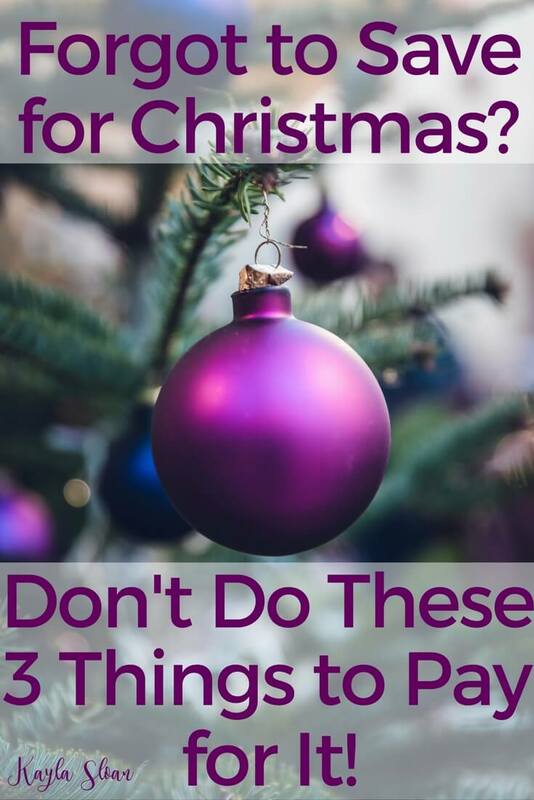 But, there also some things you should NOT do to pay for Christmas. First things first. I already hinted at the fact that Christmas is not a surprise, but it also isn’t an emergency. This means you should not use your emergency fund to pay for Christmas. Your emergency fund is not a Christmas savings fund. It’s only to be used for real emergencies. I’m talking things like your car breaking down, your house starting on fire, or another unforeseen catastrophic event. You know Christmas is coming. It is NOT an emergency. Last year was the first time I had ever heard of a “Skip-A-Pay” program for car loans and mortgage payments. This is actually a program my credit union offers it’s customers to “help” them pay for Christmas. News flash: they don’t want to help you! When you use one of these programs (since you didn’t save for Christmas), you are costing your future self a ton of money. There’s usually a maintenance or service fee for skipping a payment. Plus, your loan term will be extended by a month, and you’ll pay extra in interest. Last year I wrote about how it could cost you big time if you participate in this program every year. For example, if you have a 5-year car loan, it would extend your loan term by 5 months, cost you $50 in maintenance fees (the fee at my CU is $10), and cost you extra money in interest for the payments you skipped. One thing I heard this year that really got to me was when my personal trainer mentioned that several people decided to “take a break” from working out with her until after the new year. They were even bold enough to say it was because they needed to use that money to pay for Christmas since they hadn’t saved for it. It’s one thing if you stop paying for a service because you aren’t using it, don’t need it, etc. Maybe you’ll be out of town during the holidays, or busy hosting 25 different holiday parties. That’s more legitimate. But to stop paying for a service simply because you didn’t save for Christmas is selfish and rude. It’s implying to that small business that buying your kid more crap they don’t need from Walmart is more important that her services. It’s also preventing the small business owner from paying for their own Christmas celebration. If enough people are this dumb irresponsible and insensitive, it could even cause the business owner’s income to drop enough that they can’t pay their bills without dipping into their own emergency fund. I don’t have a problem with trying to cut expenses to save money for Christmas. But, cut something like TV that doesn’t improve your mind, your health, or go into the pocket of someone who might actually need the money. We all know that TV executives, satellite radio companies, fast food restaurants, etc. don’t rely on just us to provide their next meal or their family’s Christmas dinner. During this season of giving, don’t ruin someone else’s finances because you didn’t plan ahead. Cut back on buying gifts. Ask family members to chip in for the meal or bring a dish to the feast. Don’t buy all new decorations. There are lots of ways you can cut Christmas expenses now even if you didn’t save for Christmas like you should’ve. Want to save for Christmas for next year? Start a savings challenge. These can help you save up to $1,300 in a year! Did you save for Christmas? How are you going to pay for Christmas this year? I really enjoyed your take on this article and how you talked about what not to do instead of only talking about what to do to save money for the holidays! One thing that I think needs to be reiterated over and over again is to under no circumstances take money out of your emergency fund unless it is an emergency!! Sometimes I think you have to scream this from the rooftops to get people to listen to that tidbit of advice! Thank you! Yes, you should NEVER take money from your emergency fund for Christmas shopping. It’s boring, but necessary to have that money sitting there just in case. Wow, very kind of you to think of others for Christmas. 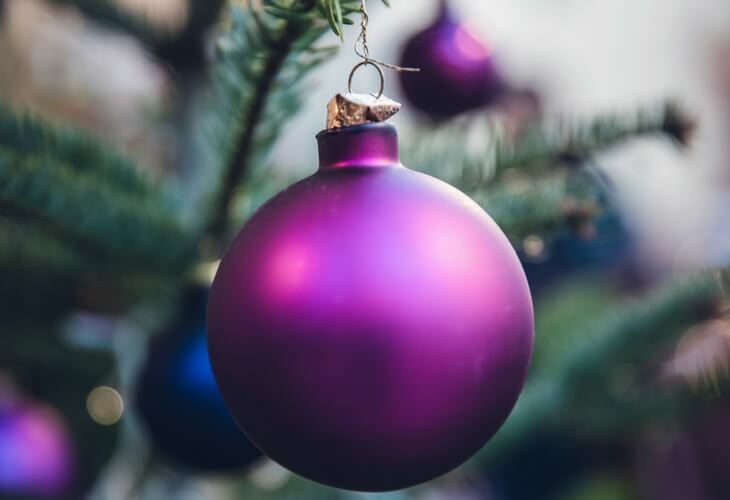 Very often this season gets confused from its original purpose of giving to others by turning into some kind of status or emotion enhancing holiday. Thank you for this post. Glad you enjoyed it. I do try to think of others all year. Even though personal finance is very personal to everyone, I also try to remember that our decisions and actions affect others too. I am planning to give personalized Christmas post cards which I think my most of my friends would appreciate more. I have started doing it and I believe this would be more meaningful and budget friendly. I haven’t really sent personalized cards. I usually just pick up a package at Walmart and use the inside part to customize with my message and sometimes a photo or something. I really enjoyed this article, Kayla. Sometimes strong words are a good antidote to the softly-softly messages we hear over and over again. I totally agree with your opinions on harming someone else’s finances because you haven’t planned. They’ve been with you all year, by your side, helping you (otherwise why would you be paying them in the first place?) It’s a pretty crappy thing to do when if you’d just planned a little, you wouldn’t have to reduce their income. I’m glad to hear you agree. It might be a *little* harsh, but as you said, sometimes that’s the only way to get the point across and get people’s attention. Ouch! I never thought someone would cheapen up on their services around Christmas since it’s a nice time to show some appreciation and love for those who are on your team. This year has been tough with financial emergencies (vet bills and a hot water tank bursting). I’ve decided to supplement my gifts with homemade dry soup mixes in a jar. I saw them for sale for $10 recently and thought I could make those. My girlfriend has been whipping up delicious cookies to give with her gifts. Making something can help those who haven’t properly saved! You have chosen a great way to give gifts. Who doesn’t love gifts of food! I appreciate them because sometimes I don’t have time to do the extra cooking that seems to go along with the holidays. Plus, it’s a more frugal gift than some others you could have picked.